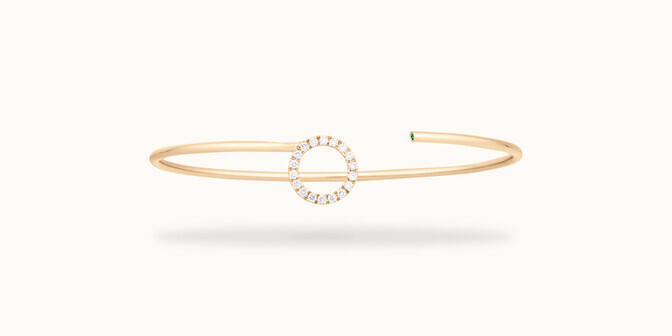 Our artisan jewellers have created, for you, a sumptuous collection of yellow gold bangles, drawing on the unique expertise of fine French jewellery and the very latest advances in technology, in an alliance of tradition and modernity. Gold has never ceased to fascinate admirers of beautiful objects and the most talented jewellers. 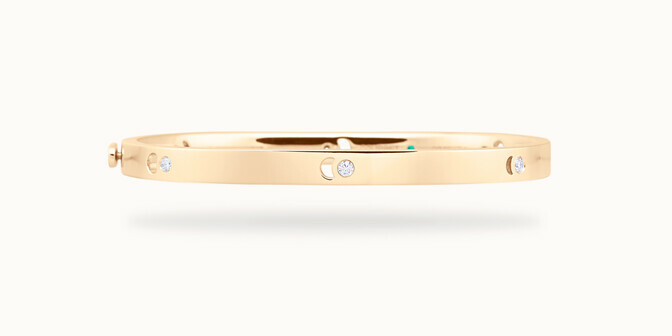 Timeless yellow gold is the most popular of all. 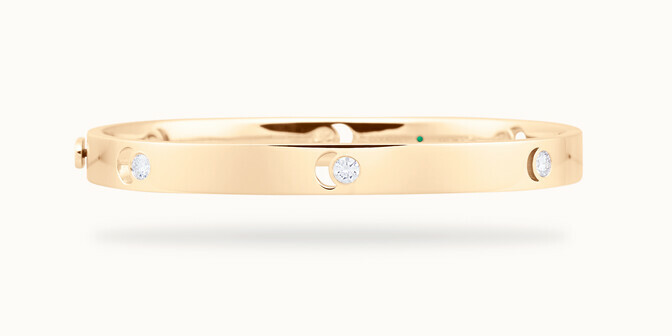 Its hardness and warm glow make it the perfect precious metal when creating ever more exceptional jewels. Like a faithful companion, its irresistible nuances are unchanged by time. What more can we ask? 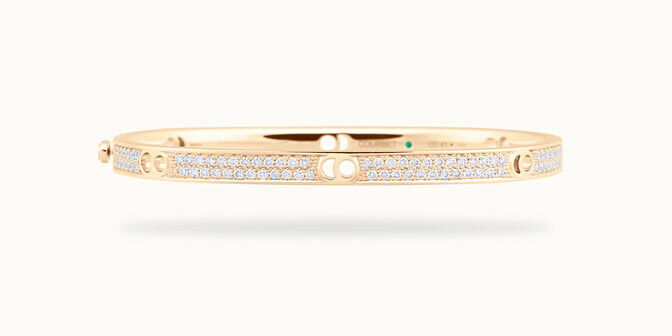 Our yellow gold bangles are so much more than jewellery. They are creations in their own right, thoughtfully designed then finely crafted by our most talented artisans. Each has its own flavour, a unique personality and a magical story to tell. 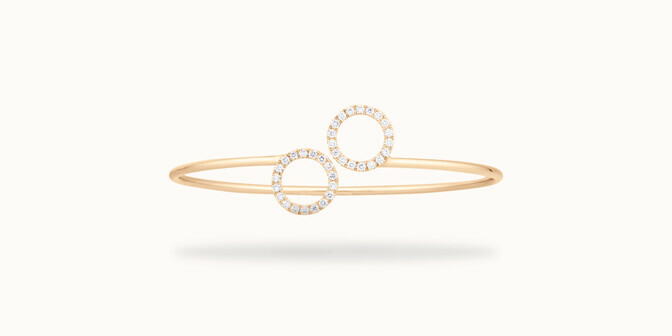 Some are captivatingly simple, others adorn themselves with the diamond's irresistible sparkle. The Eclipse collection celebrates the never-ending cycle of the planets and the infinite wonders of the universe, like an eternal recommencement that we have the duty to preserve. 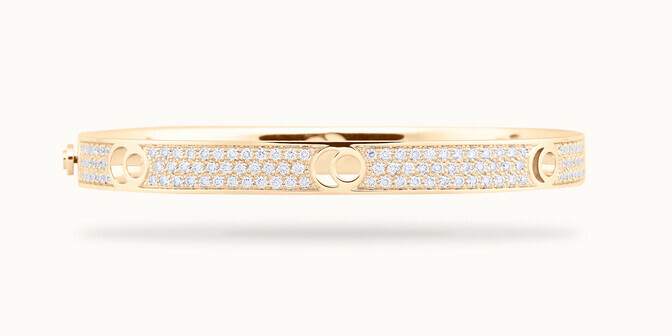 As for the bangles in the CO.BE collection, they tell the story of lovers for ever united. Living side by side, growing through their differences, they are joined together for all time; inseparable yet uniquely individual. Meanwhile, the multi- facetted O2 collection lends a playful touch. All that remains is for you to choose the symbol closest to your heart!